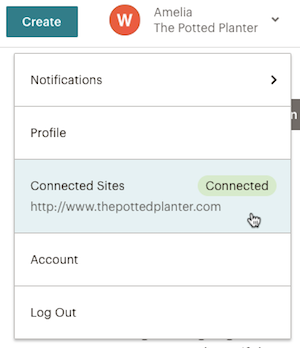 When you connect your store or website to Mailchimp, you can view and manage your integration on the Connected Sites page in your account. Quickly review your audience settings, create custom pop-up forms, or use Mailchimp's powerful e-commerce tools to sell more stuff. In this article, you'll learn about the Connected Sites page in Mailchimp. You can connect a supported e-commerce store or manually connect a website to Mailchimp. After you connect a supported store, you can access our suite of e-commerce features including abandoned cart emails and postcards, product retargeting emails, promo codes, and more. If you add our code to a website builder or manually connect a site, you can access pop-up forms and web retargeting ads. To view the e-commerce features supported by an integration, visit the integration's listing in your account. The Connected Sites page in your account is where you'll access and manage the sites and platforms that share data with your Mailchimp account. To access the Connected Sites page, follow these steps. Click your profile name, and choose Connected Sites. On that page, you'll be able to connect a supported e-commerce store, generate custom code to add to your website builder, or manually connect your website to Mailchimp. 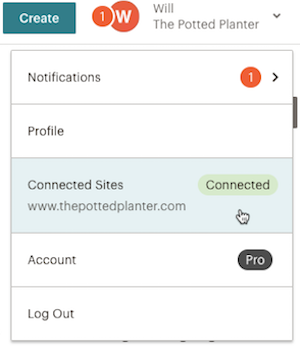 If you've previously connected a site, click Add another site to view the full list of supported integrations. Each time you connect a supported e-commerce store to Mailchimp, we'll walk you through the process. The steps you take to connect will vary depending on the type of store you have. Check out one of these articles to learn how. If you use Squarespace or WordPress, add our code to your website to connect it to Mailchimp. This method allows you to add a pop-up form to your site and use Google remarketing ads, but doesn’t support our e-commerce tools. The best place to add our code varies from site to site. If you’re not sure where to modify your site’s HTML, reach out to your developer or hire a Mailchimp expert. If you have a Squarespace Website Business plan for higher, you can connect your website builder to Mailchimp. To connect your Squarespace site, follow these steps. Navigate to the Connected Sites page. If you’ve previously connected a site, click Add another site. 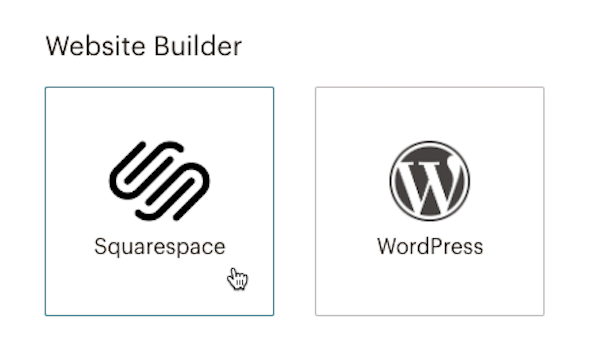 In the Website Builder section, click Squarespace. In the Enter site URL field, input your website URL. Click the Select audience to connect drop-down menu, and choose an audience. Copy the code to your clipboard. Add the code to your Squarespace site. To learn more, take a look at Squarespace’s documentation. After you’re done, return to the Connected Sites page and click Check Connection. After we verify your connection, you'll see a confirmation message and be redirected to the details page for your site. If you use WordPress.org you can connect your website to Mailchimp. 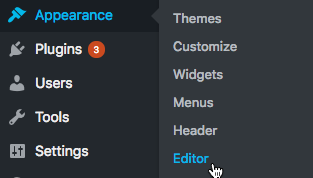 This is an advanced feature recommended for users familiar with editing WordPress themes. You cannot connect a Wordpress.com website since they do not allow you to customize HTML markup or PHP code. To connect your WordPress site, follow these steps. 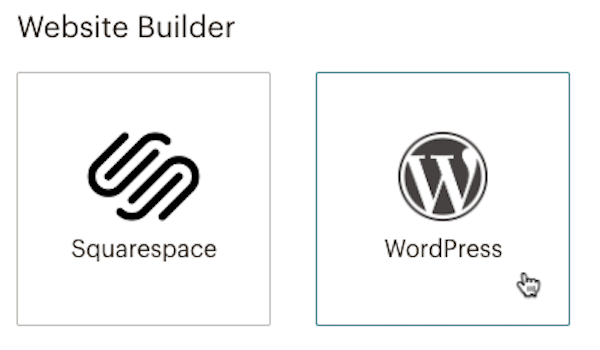 In the Website Builder section, click WordPress. In a new browser tab or window, Log in to your Wordpress administration screen. In the left navigation panel, click Appearance and choose Editor. Click the header.php file under Theme Files. Paste the code into the header.php file on the line before the closing < / head > tag. After you’re done, return to the Connected Sites page in your Mailchimp account and click Check Connection. 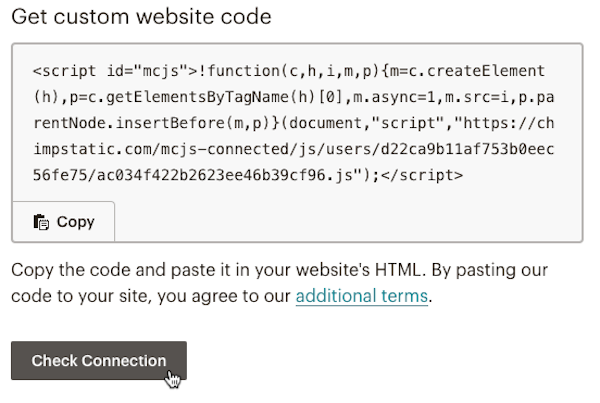 If you have a custom coded website or you platform isn't listed on the Connected Sites page, you can add Mailchimp's site code to your website's HTML to connect it to Mailchimp. This method allows you to use pop-up forms and Google remarketing ads, but doesn’t support our e-commerce tools. This is an advanced task and is recommended for users familiar with custom coding. If you need assistance, contact your developer, or hire a Mailchimp Expert. To connect your website to Mailchimp, follow these steps. Navigate to the Connected Sites page. If you've previously connected a site, click Add Another Site. In the Custom Website section, click Custom Website. In your website’s HTML, paste the code just before the closing < / head > tag. After you're done, return to the Connected Sites page and click Check Connection. After we verify your connection, you'll be redirected to a confirmation page where you can access connected sites features. 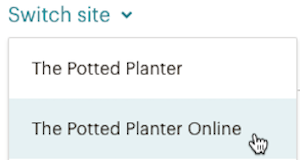 After you successfully connect your site, you'll be able to view and edit details for each connected site in your account on the Connected Sites page. If you have multiple connected sites, click the Switch site drop-down menu to choose the site you want to view. For each site, you can check connection status, review your synced audience, and add a custom pop-up form to your site. Supported e-commerce store users can also access certain automation types from this page, like product retargeting emails, abandoned cart emails, and order notifications, and more. Take a look at these guides for more information. If you connected a supported e-commerce store to Mailchimp, you can use your synced purchase data in a lot of different ways. Add data-driven product recommendations to your email marketing, or use pre-built e-commerce segments to view and target different types of customers with personalized offers. You can even turn on e-commerce tracking in your campaigns and automations to record your customer purchases and measure your ROI. If you manually connected your website to Mailchimp, or added our code to a website builder, you can add a pop-up form to your site, or try Google remarketing ads. To disconnect your site, you'll need to remove it in Mailchimp and remove the integration from your e-commerce store. Or, if you manually connected a site, remove our code from your website's HTML. If a site is disconnected, we'll automatically pause e-commerce automations and remove pop-up forms that use shared site data. 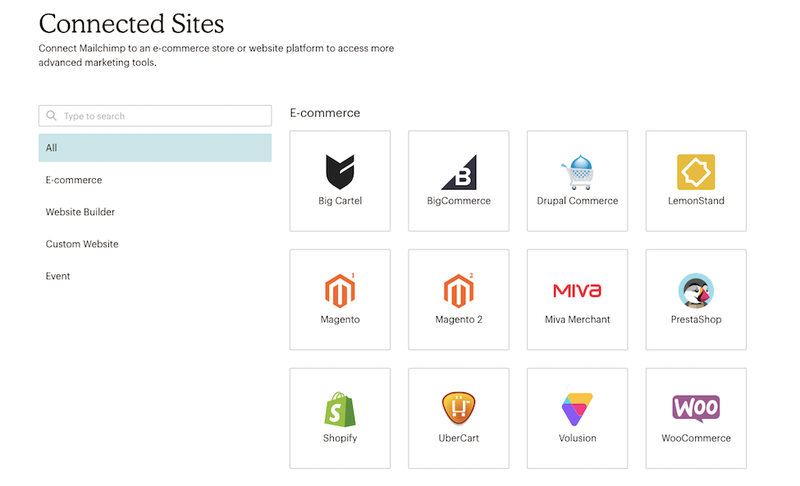 If you want to reconnect your site later, be sure to follow the complete installation instructions for your e-commerce platform or website and restart any affected automations. To disconnect your site, follow these steps. If you have multiple connected sites, click the Switch site drop-down menu to choose the site you want to disconnect. In the Are you sure? pop-up modal, click Continue to proceed with disconnecting your store. After you disconnect your site from Mailchimp, you'll need to remove our code from your site to fully disconnect the integration. If you added our site code to your website's HTML, you'll need to remove it manually to completely disconnect your site. Contact your developer or website administrator if you need assistance. If you connected an e-commerce store, take a look at these guides to learn how to fully uninstall the integration.